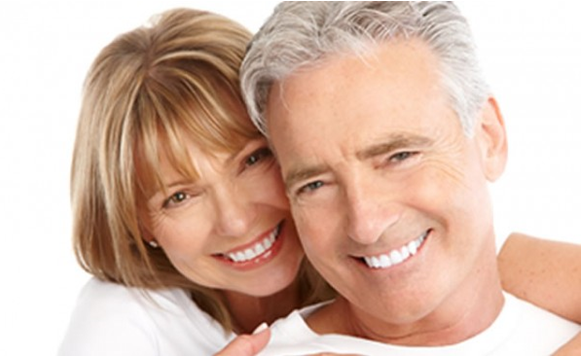 In general, to restore your teeth means to repair and/or reinstate your teeth to their original form and function. Restorative dentistry involves simple dental procedures such as tooth fillings, tooth extractions, replacing broken or heavily decayed teeth with crowns and/or bridges. Apart from restoring the proper function of your teeth, good restorative dental work also restores your youthful appearance. Below is the case history of a 67 year old patient, who came to see Bondi Dental with heavily compromised dentition, faulty crowns, toothache, and chewing difficulties. We had to remove all faulty dental work, did a build-up to restore his correct bite, re-do failed root canal treatments, and replace all faulty crowns with dental implants, bridges, and new crowns. The result is highly satisfactory. Not only can this patient resume the normal function of his teeth, he now looks 10 years younger!